The Samaria Gorge is undoubtedly the most well-known gorge in Europe, but there are equally beautiful places around it you can easily discover. 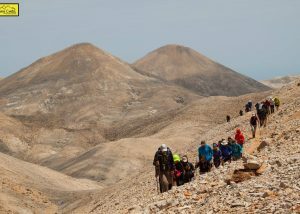 Away from the crowds we will walk in the most beautiful trails of Western Crete, we will swim at the best beaches and we will see Samaria as few have so far .The icing on the cake will be climbing to the tallest summit of the White Mountains at 2,454 meters! 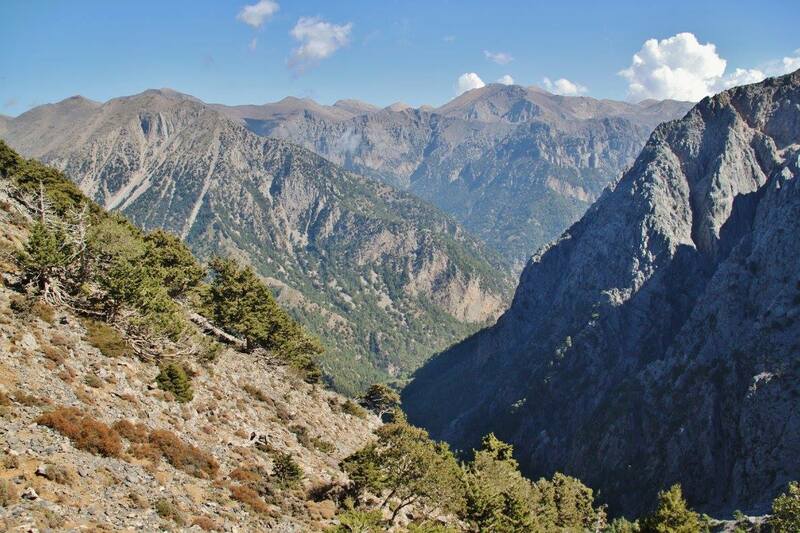 The Samaria Gorge might be one of the greatest in Europe, but the surrounding mountains and routes are equally impressive . 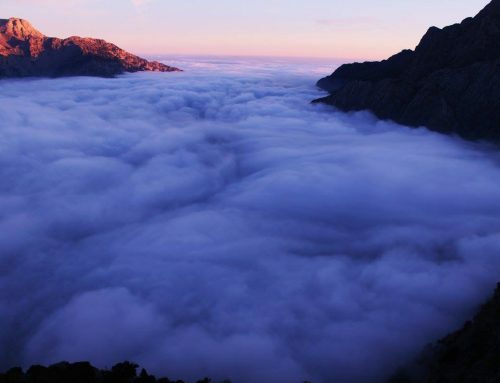 Before exploring it we will take a taste of the summits around Samaria,called Psari and Melidaou, seeing from above the Libyan and Cretan Sea and a sea of summits that comprise the White Mountains. 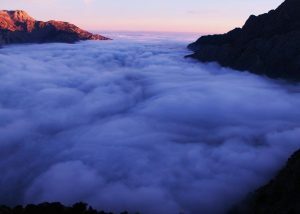 Our overnight stay will be at the Kallergi Refuge , which stands at the Samaria balcony e few hundreds metres higher at 1,700 metres so as to rest for the following day. 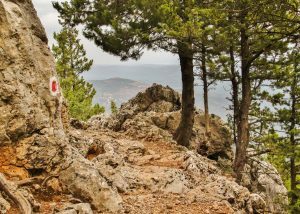 The downhill starts early and soon the bare stone scenery will be replaced by the huge virgin forests of Samaria. 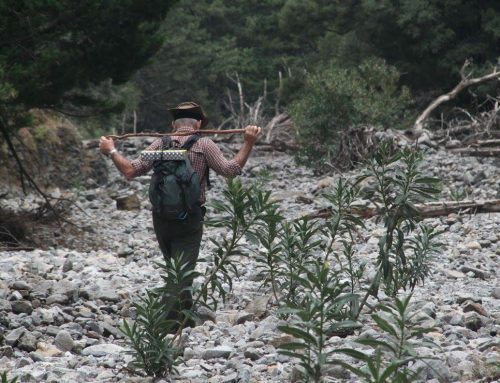 The trail is clean and always under the shade of the pine trees and the wild cypress while the river runs even in the middle of the summer giving a further sense of coolness. The cliffs on the left and right are imposing and the presence of wild life with big birds and kri kri is intense. The 17 kilometres are over even before our feet get tired, and our mind is full of magnificent natural pictures, scents and definitely emotions. Right at that moment the clear blue sea of the Libyan appears, offering salvation and rest both to the body and soul… Our sleepover in Agia Roumeli will be at rented rooms. The sea will be an integral part of the background of our route, as we will have it constantly by our side. At first we will hike on the smooth waterfront path to the east, right by the impressive sand hills. Just as a drop of sweat appears on our forehead it is time for a cooling dive at the exotic beach of Agios Pavlos, where stands a 10th century beach. 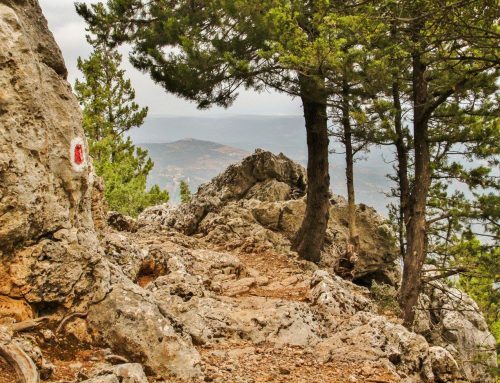 As the sun is slightly going down we will start ascending to Ai Giannis, hiking on one of the most beautiful trails of Crete which is stone built and with a breathtaking view. 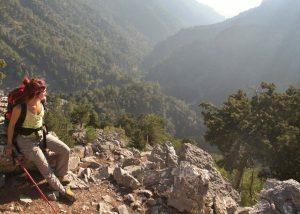 At Ai Giannis which lies at the foot of the southern White Mountains we will regroup forces for the following day, staying the night at a traditional guesthouse. 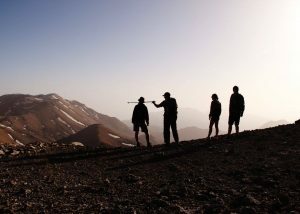 This day starts smoothly by hiking on an easy trail to Aradena. 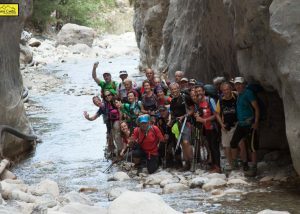 After gazing at the beautiful view from the tall bridge ( 139 metres high) we will cross the deserted village and take the wonderful path to the Aradena gorge. A sense of isolation, and also huge vertical cliffs is the scenery today, while the swim at the magnificent beach of Marmara with the white sleek rocks is ideal for an afternoon rest. The one hour way to Loutro is enough for rehabilitation and we will spend the night at this beautiful picturesque village. Our final trekking day has to be easy and relaxing. After having breakfast and taking a swim at the sea we will start our way back stopping halfway at Glika nera for one more swim. Then, we will get in the cars , and after tasting authentic cretan cuisine in Askifou we will return to Hania where we will spend the night. 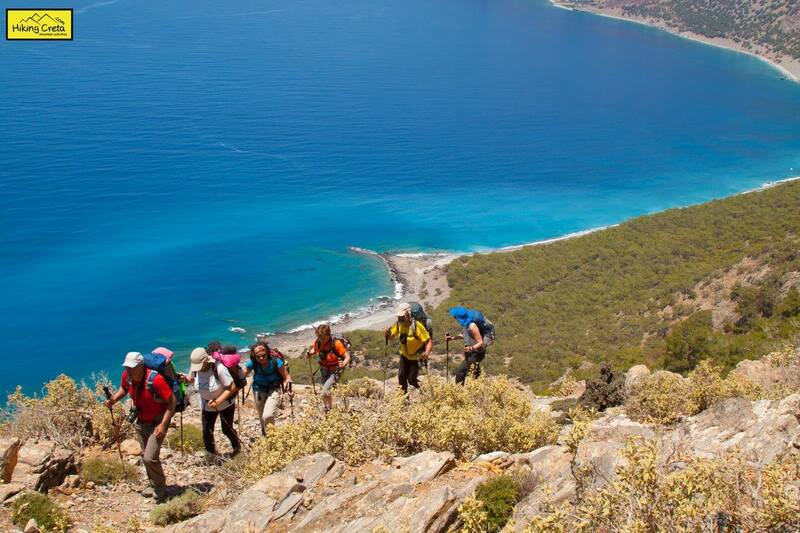 Our excursions are aimed at people who are relevant with nature and hiking. Average hiking condition required. Good quality hiking shoes required ( not stiff high boots) and a good hiking backpack of up to 50 liters capacity. 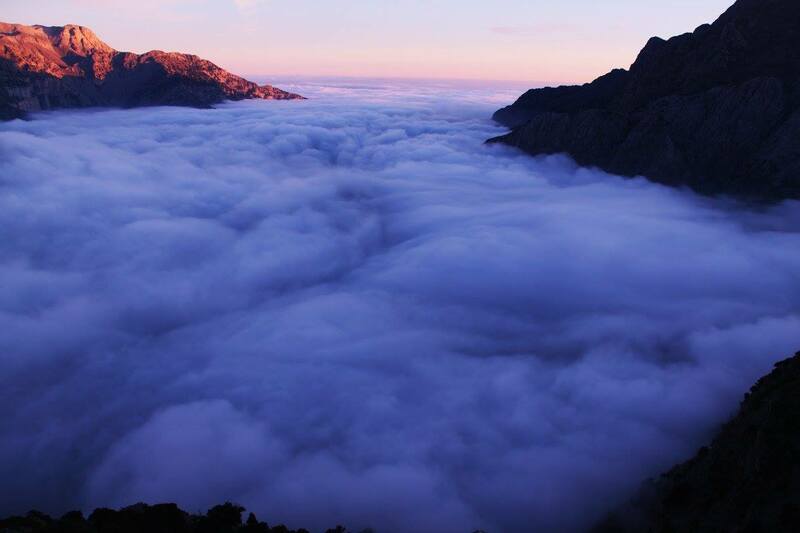 We will stay overnight at a Climbing Refuge, rented rooms, traditional guesthouses.